Are you the One to Watch Undergraduate of the Year? We’re searching UK universities to find the One to Watch Undergraduate of the Year. You must be entrepreneurial, resourceful, collaborative, bright and not afraid to shake things up. A ten-week paid internship and an overseas trip! IQ-EQ's (formerly First Names Group) winner will spend their summer interning at its head office in Jersey, where they will meet and learn from its leadership team, and will expand their horizons with an all-expenses paid trip to one of its offices around the world. The 2018 winner went to Hong Kong. Applicants from any degree discipline are welcome. IQ-EQ (formerly First Names Group) encourages applications from those studying business, economics, finance and humanities degrees. Register your details online and answer three questions set by IQ-EQ (formerly First Names Group). Receive an email inviting you to sit four online tests designed exclusively by our partner SHL. If you are successful in getting through to the next stage, you will hear from us by 1 March 2019. 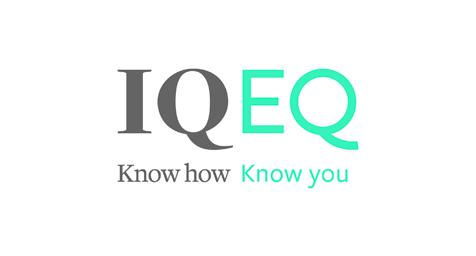 If you pass the online tests and make it to the next stage your application will be reviewed by IQ-EQ (formerly First Names Group). This stage will include a Skype interview and an assessment centre in London on 22 March. IQ-EQ (formerly First Names Group) is a leading independent provider of trust, corporate, real estate and fund administration services, operating in multiple strategic locations worldwide. We deliver bespoke structuring and administration solutions to an international client base including multinational companies, institutional investors, entrepreneurs and ultra-high-net-worth families. We’ve been in the business for over 25 years and in 2018 we became part of SGG Group. SGG Group is the world’s fourth largest global investor services firm (by revenue) and currently employs over 1,700 people across 22 jurisdictions. Our people are key to our growth, and so we commit ourselves to their growth. We have a clear focus on qualifications, and we invest in the professional development of all our people so they’re equipped to deal with the ever-changing and complex corporate environment in which we work. We are always on the lookout for new talent, and each year we seek out the best and the brightest graduates and undergraduates. People who are entrepreneurial, resourceful, collaborative and smart – with the ability to shake things up. If that sounds like you, then you could be the One to Watch and we want to hear from you! The winner will undertake a ten-week paid internship in Jersey, where they will have the opportunity to meet and learn from our leadership team as well as to expand their horizons with an all-expenses paid trip to one of our offices around the world. The 2018 winner went to Hong Kong.